Ziggy & Miles Johnston inject music with contagious energy and inimitable zeal. 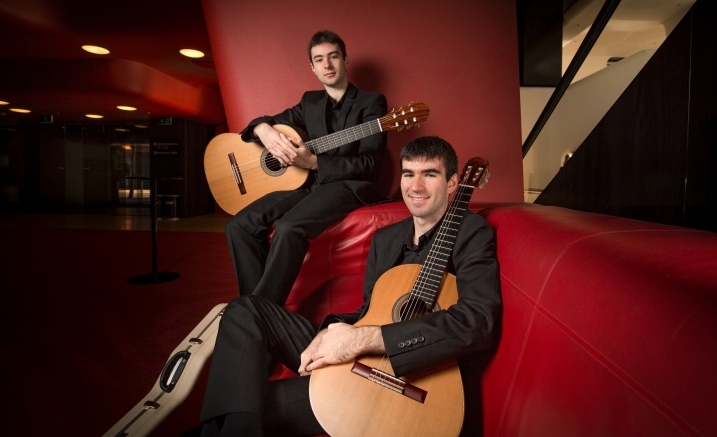 Internationally award-winning guitar brothers Ziggy & Miles Johnston are renowned for passionate performances of diverse repertoire – crisscrossing the standard classical guitar canon with music from Australia, Spain and Latin America, and jazz influenced works. The acclaimed guitar duo of Ziggy & Miles Johnston takes you into colourful sound worlds with works by the great composers. Experience classics you know and love arranged to highlight the beloved qualities of the guitar. Whether through the extravagance of Mozart’s Piano Sonata in A or the timeless enchantment of Beethoven’s ‘Moonlight’ Sonata, the brothers blend their expressivity into works of startling emotional authenticity. Purchase the Ziggy & Miles Johnson two-concert package and save!